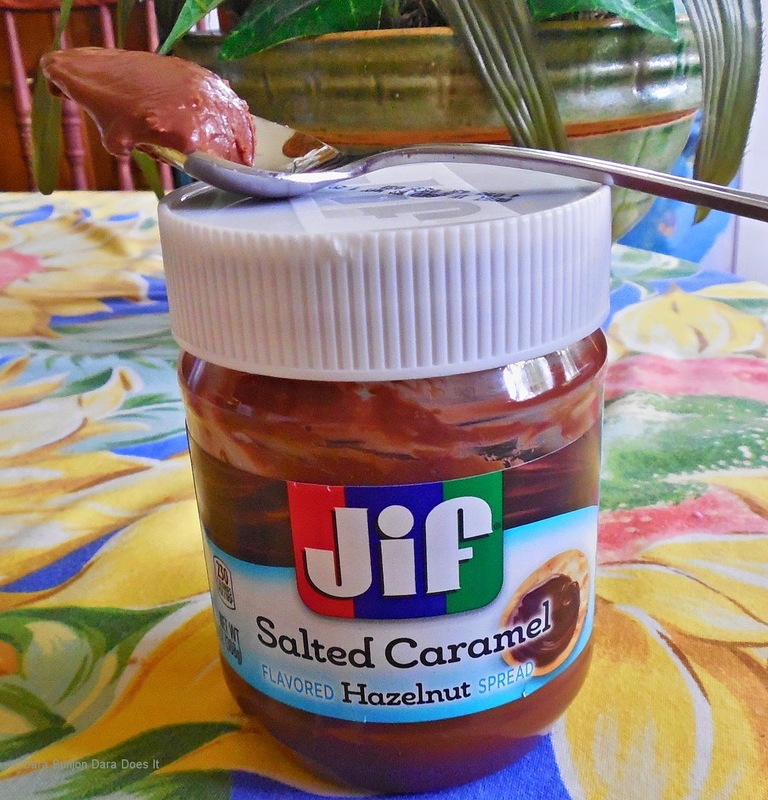 As you can see the jar of Jif® Salted Caramel Flavored Hazelnut Spread in the photograph is not a full jar. In fact, half of it is gone which only took about 36 hours since opening it. Yes, it is Beelzebub in a jar, a demon food that I am unable to resist – I can’t eat just one spoonful. The Jif® people describe it as a delicious combination of creamy chocolate hazelnut and salty sweet caramel. They suggest you spread this on fruit, crackers or toast but it never got beyond the spoon for me. That spoonful in the snapshot was gone as soon I put down the camera. The folks at Jif® sent me a sample jar. Honestly it sat on my kitchen counter maybe a week or so but the other night I just needed something chocolaty. Like I have done in the past with Nutella, I took a spoon to it. In a blink of an eye, one quarter of the 13 ounce jar was gone. 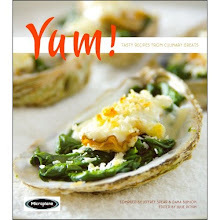 Creamy, rich, and ooh, those little crunches of salt granules – it was my food addiction, my culinary heroin. The suggested retail is around $3.49 but the Jif® Salted Caramel Flavored Hazelnut Spread junkie I have become would pay $5, $10 or $25 – it is edible dope to me. If I don’t get rid of it soon you will find me at some underpass, wearing rags and living in a cardboard box doing anything for a mere tablespoon of Jif® Salted Caramel Flavored Hazelnut Spread. I have no control, I can’t stop eating this. I’m going to throw the rest of the jar, lid off in the big trash – this will keep me from pulling a George Costanza of going back into the trash for food. If two tablespoons of the spread are 230 calories can you imagine I’ve eaten a week’s worth of calories in a day in a half?